An attractive nest of two tables, made from 100% solid oak. 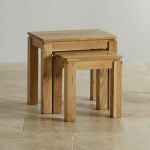 The quality of construction you expect from Oak Furniture Land is followed through on smaller pieces of furniture, and these tables carry the Galway range's contemporary details in the look. 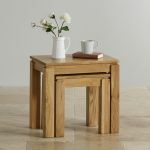 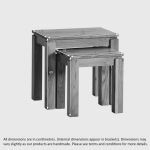 Used at the end of a sofa to hold a lamp or book, or tucked away until needed, the tables will sit happily with other items from the Galway range in your living room or dining room. 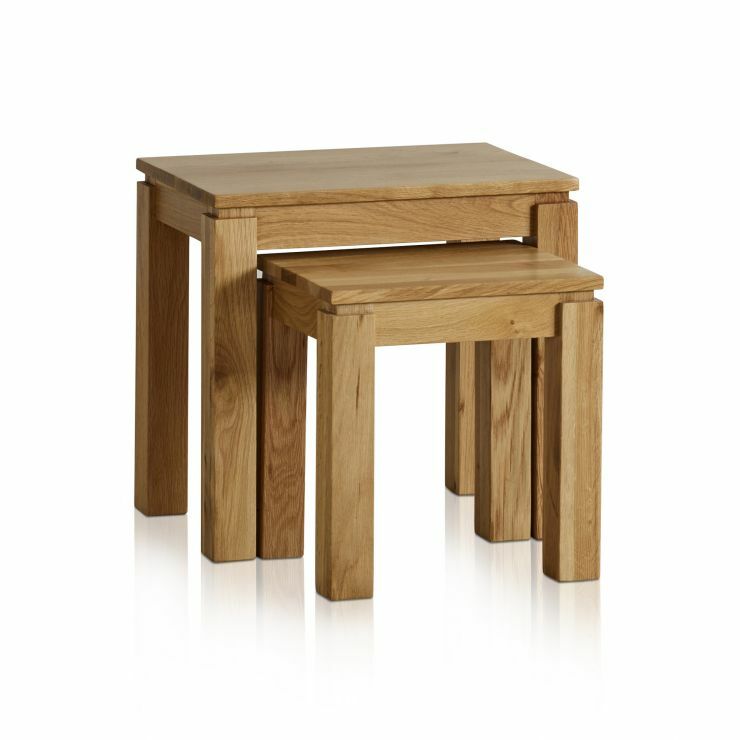 Browse the range and see just how they'll all fit together in your home.